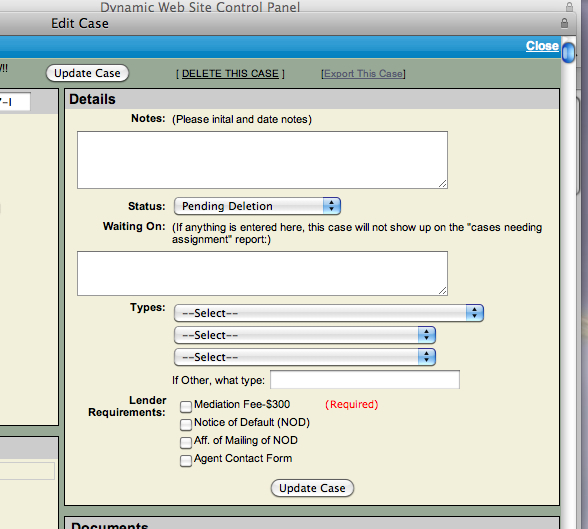 When you create a custom case field, you have the option to make a field be required. Then if someone tries to save or update the case record without filling out the required field, they will not be able to save. The system will tell them that they need to go back and correct the problem, specifically which field needs to be filled out. 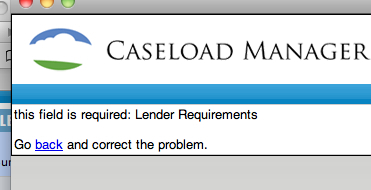 After that field has been filled out, then the case can be saved.